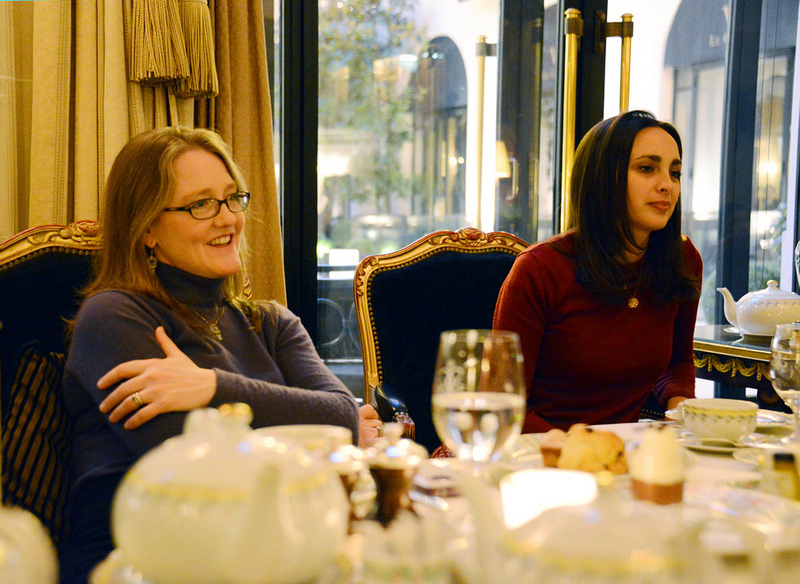 Sharing the passion in Paris: intimate gatherings & indulgences – May 2013 invitations are out! In Paris, it was cold, grey, dreary and either wet or snowing outside during much of February 2013. The atmosphere was, however, very warm, excitable & animated at our member-only MaVieFrançaise® – MyFrenchLife.org February events; intimate gatherings & indulgences indeed! 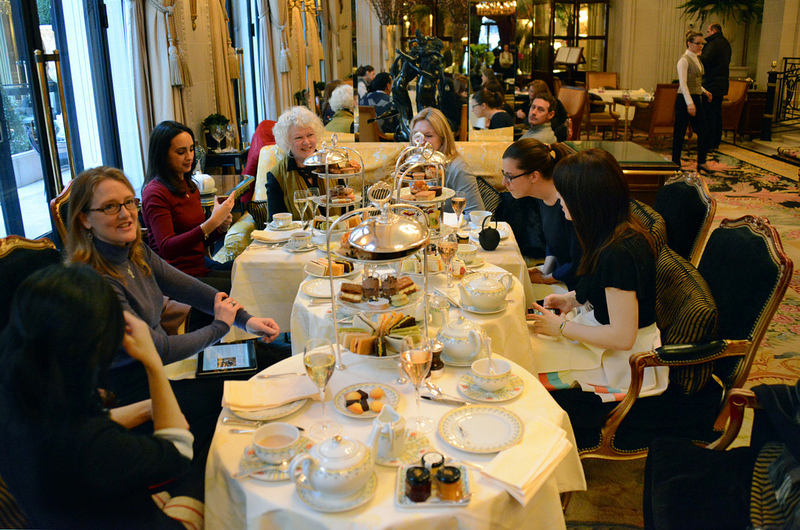 The first event in our February series was quite an indulgence: a French-style high tea at the Four Seasons Hotel George V. We chatted and indulged, for so long that we left in the dark! What diverse members we enjoy: French, francophiles, travellers, expats, anglophones – all sharing the passion of the best of all things French in Paris. Members who attended this event were from France, Belgium, England, Australia, Argentina, the Philippines and also Brooklyn, USA. 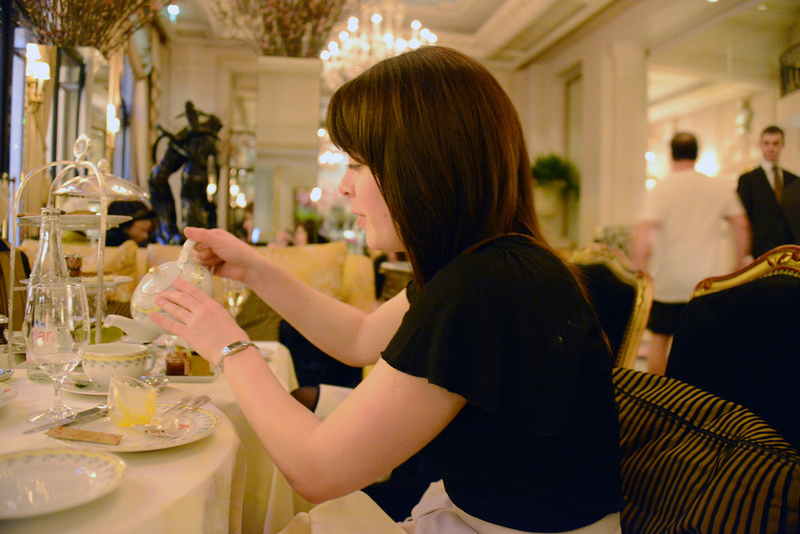 At Four Seasons Hotel George V we met new members, Catherine and Kala. 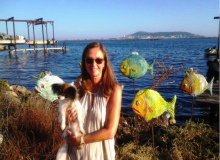 Catherine, a French woman, has lived in many places including New York City, and is now living in Laguna Beach, California. Catherine found us originally on LinkedIn and saw that we shared mutual connections in LA, so she secured the last place available to join our table. Catherine was only in Paris for a few days, so we were all lucky to meet her. Kala is originally from the Philippines. With her French partner, she often leads the expat life elsewhere in the world – wherever their careers take them. The talented Kala is not only a member, but she has also recently joined our MaVieFrançaise® Paris team as a photographer. 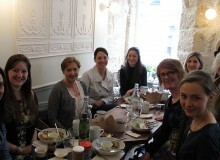 Other members who’ve attended our events previously were thrilled to see each other again and deepen their friendships. 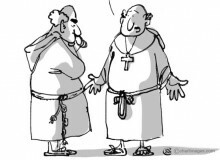 Curb your curiosity – join us! 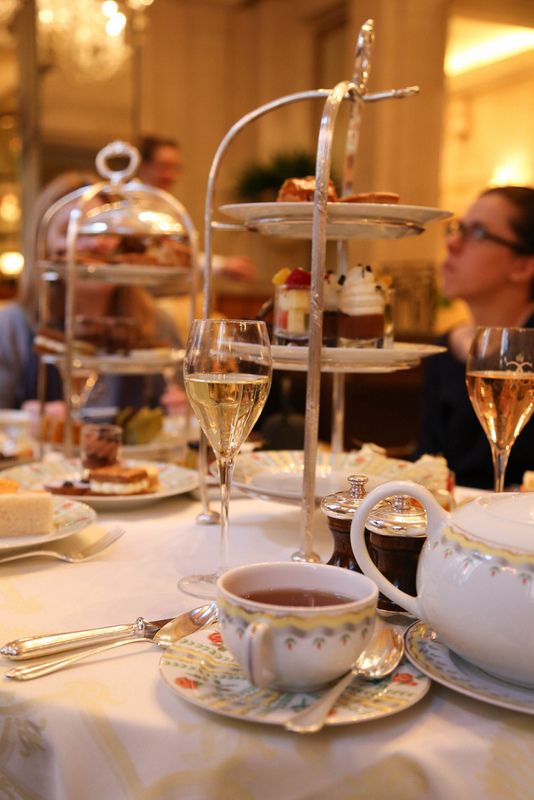 If the discussion wasn’t enough, afternoon tea was simply superb! 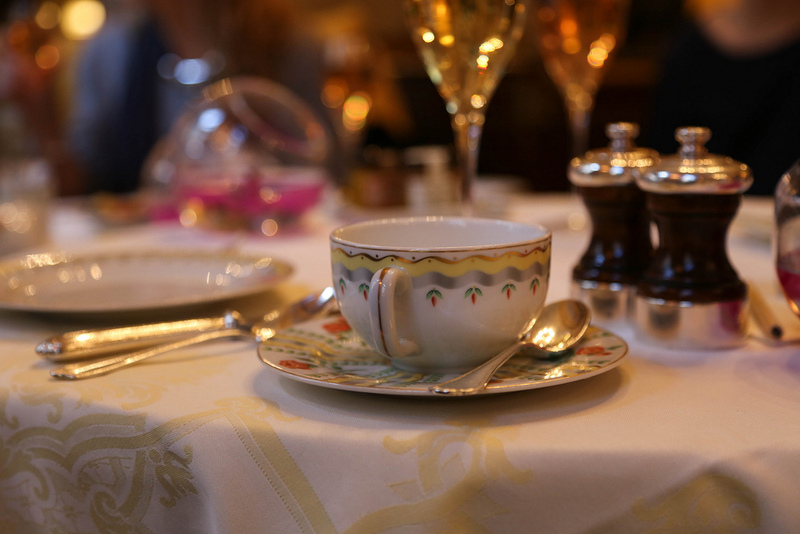 The champagne, very special tea, sandwiches, scones, cakes, pastries, chocolates and more. After a feast like that it may seem hard to believe that the service we received at the Four Seasons Hotel George V was even better than the food. 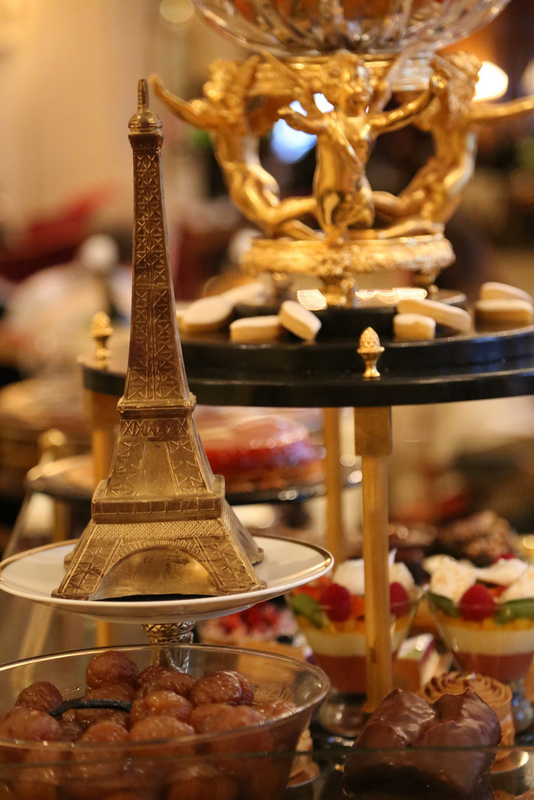 Cynthia said that it was the indulgent French afternoon tea that really caught her eye on our invitation for the February events. “Indulgent it was, AND with great company – I’ll be back!” she said. 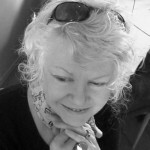 We’ve known Cynthia from Melbourne since before MyFrenchLife.org was established and she is now living in Paris. May 2013 intimate gatherings & indulgences in Paris – Your invitation has already been sent to you! Your invitation for our à la carte selection of member-only events in Paris in May has already been sent to you by email. If you are already a member and for some reason you have not received your invitation then please email us at Paris.MaVieFrancaise@gmail.com (please note that this email address is only used for Paris event communication). 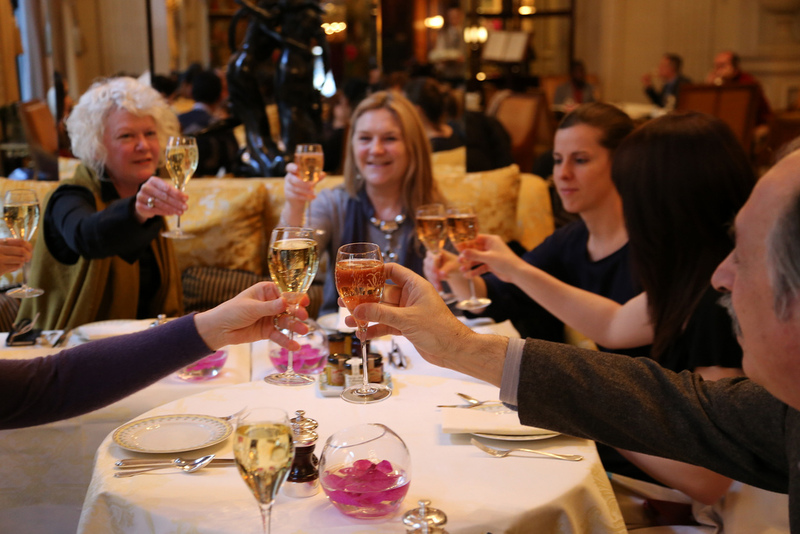 In May we are offering a range of events including lunch, dinner, champagne & cocktails, brunch, and of course the opportunity to meet some more fabulous members. As our events are at carefully selected venues and because they are intimate gatherings with a limited number of places at each, places fill fast… so, please confirm your place ASAP. As these are member-only events, please make sure you become a member to be eligible to attend – sign up here and then email us to request your invitation. We are looking forward to sharing the passion and meeting you at one of our events in Paris soon! We are so looking forward to our May intimate gatherings and indulgences! All events were booked out by late April with waiting lists in place… Events run between 15 – 23 May. Thank you all for such a fabulous response! 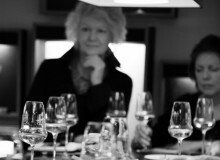 Watch out for our next a la carte offering of events in for September. Invitations will be out at the beginning of August.